The smallest could be a mosquito. Allah is giving an example that whatever you do or achieve in this dunya is nothing, what you really achieve is rahmatullah, that through His mercy everything can live and without His mercy nothing can live. Allah (swt) has given everyone something that they are happy with: one person is happy to have that body and the other is happy to have that soul. No one will share their body or soul with anyone, everyone is holding on to it; however, from the mercy Allah has given Prophet (s), he shared everything with everyone. Grandshaykh (q) said, “On the Day of Judgement when Allah judges between His servants, Hukmullah, His Judgement is going to go through and then He will ask Prophet (s) to give them shafa`ah.” What do you think Prophet (s) will do? He will intercede for his Ummah that Allah (swt) judged between different ummahs and Anbiyaa. What is the reality of that du`a? When the Prophet (s) goes into sajda, the Reality of that du`a didn’t open before, although we know millions of du`as, but they are dunya du`a and this is du`a for Akhirah, Yawm al-Mahshar. Allah does not give the du`a for Akhirah the same as for dunya, there is a difference. So that du`a that Allah opens for him, Grandshaykh (q) said that Allah will dress the Prophet (s) from the Light of Asmaa’ullah al-Husna, the Ninety-Nine Names and Attributes, and he will recite according to the Realities in those Names without seeing what every Name includes. Every Name has characteristics that are like an ocean that no one knows except Allah (swt) and He will dress them on Prophet (s), which is the meaning of shafa`ah: Allah will dress him to be able to ask Him forgiveness for his Ummah. That secret of what Allah will grant to the ladies of Ummat an-Nabi (s) will appear there. The second time, Prophet (s) will go into sajda asking Allah (swt) and he (s) said Allah will open a du`a to his heart that has never been opened before, not even in the first sajda, and it will be more than the first time, something different. Scholars wonder what kind of Arabic it is, or is it Arabic? Of course it is Arabic, as the language of Jannah is Arabic. Those who are not Arabs and don't speak Arabic, at that time their tongues will speak Arabic without any hesitation. So what kind of Arabic or letters have been arranged to give it meaning? Is it similar to what we are reading? No, it is coming from the secrets of the Holy Qur'an, which is Kalaamu ‘Llah al-Qadeemi, Allah’s Ancient Words: they are not created, and anything not created belongs to Allah. Everything ‘belongs’ to Allah, but that moment is something special. So He (swt) will dress him in the knowledge of the Ninety-Nine Names and Grandshaykh (q) said it is but a drop in an ocean, because Allah is Laa shareeka lahu: no one, not even Prophet (s), can equal Allah in knowledge: there is no partner for it, every moment new oceans emerge. That’s why many times Prophet (s) spoke a Hadith and then after two days or a week repeated it in a different way with something more, depending on the Ascension at that moment and what was revealed to him. All Ahadith are Revelations. (I swear) by the star when it sets, your companion is neither astray nor is deceived, nor does he say (anything) of (his own) desire. It is nothing but Revelation that is revealed (to him). Prophet (s) doesn’t speak from his ego; rather, it is Revelation from Allah (swt) to read to the Ummah, and as he rises in Ascension the more complete the Hadith becomes. So it differs: some will be added or some will be subtracted, it’s up to Prophet (s) to say what Revelation he gets from Allah. Prophet (s) will ask the second time in du`as that were never opened before and Allah (swt) will say, “Raise your head, I will give you what you want,” and Allah (swt) will send half of the remainder to Paradise with no account. Allahumma ija`lnaa min al-firqa al-oola, may Allah make us from the first group! عن أبي هريرة:أن رسول الله صلى الله عليه وسلم قال: لا تقوم الساعة حتى تقتتل فئتان عظيمتان، يكون بينهما مقتلة عظيمة، دعوتهما واحدة. There will be a huge battle with great killing and they call for the same thing, Wa da`waahuma waahida, they fight for one issue: Haqq against baatil. Everyone claims he is on Haqq, so that means at that time everything is a soup. Where is the Truth? That is what we are seeing now: people being killed with no measure, only massacring, thousands and thousands of people are killed. So what will the Prophet (s) do in that moment? Grandshaykh (q) said from his sources, when Prophet (s) sees the third group going, he sees that Allah (swt) has dressed them all--the first group, second group, third group--from Tajalli al-Jinaan and that will allow them to see Allah (swt) in Paradise, to see they must go through the door, which is Prophet (s). First, Allah created the Light of Prophet (s), and from that time whatever Allah gave Prophet (s) from `Uloom al-Awwaleen wa ’l-Akhireen until the Day of Judgement, until that sajda, until these three groups will enter Paradise, he (s) will dress the Ummah with everything Allah gave him! Not only that, he will ask, “Yaa Rabbee!” when they are dressed from Prophet’s prayers and Light, if any unbeliever look at them, they will think they are Ummat al-Muhammad! Everyone will resemble each other until you cannot differentiate among them, because everyone will inherit from the Light of Prophet (s), so they all carry the Seema ‘n-Nabi (s), features of whatever Allah wants them to see and they know they belong to the Paradise of Muhammadiyyoon, a special Paradise reserved for Ummat an-Nabi (s). Other Ummahs that accepted other prophets will be in the paradises of their prophets, but the Paradise of Prophet Muhammad (s) will be in the front and its inhabitants dressed from the Ninety-Nine Names and Attributes. Everywhere at that moment will be calm. Allah (swt) will send everyone to what He granted them in that Paradise. May Allah make us in that Paradise with that group inshaa-Allah! So to prepare that in dunya, Allah gave Sayyidina Muhammad (s) that power and that is why one salawaat on the Prophet (s) is so valuable to Allah that He gives you ten salawaat in return. The Prophet (s) gave everything to the Ummah and on Judgment Day he will stand with nothing, because he granted it all to the Ummah and has nothing but Rahmatullah. And he says, “Yaa Rabbee, wherever you want to send me, send me.” He knows he has nothing to enter Paradise except by Allah's Mercy, so he gave everything! When you give something, you don't take it back. It means he was fidaa ‘l-Ummah, he sacrificed all his benefits for the Ummah. Our example is the Sahaabah (r) sacrificed themselves for the Prophet (s). At that time, Allah will dress him not only with the Ninety-Nine Names, but also with new Names coming. We know ninety-nine and scholars know up to three-thousand Divine Names. Awliyaullah say that every Creation, every human being that exists in dunya is by a Name Allah created and each of these Names comes from the main Name, `AbdAllah. The best names are those which indicate servanthood or praise of Allah. Allah will dress him from these secrets, and whatever Allah gives to Prophet (s) he continuously sends to the Ummah, so he is without anything, and Allah will dress him in al-`Ilmu ‘l-Ladunni especially for the Day of Judgement. May Allah forgive us. Muhammad (s) is a human being, but not like you. He is a jewel and people are like rocks. I have a holy hair of the Prophet (s) that, when I received it, I put in a special glass made from white sapphire, and it is rare to have a tube like that. When we put it inside that tube and locked it, it was sweating, there was condensation inside the tube! There is barakah there, because Sayyidina `Uways al-Qarani (r) was there; an `Uwaysiyy can transmit things from far away. They say sometimes between Awliya there is a gap and from far away they give each other through `Uwaysiyy power. Sayyidina `Uways al-Qarani (r) wanted to go see the Prophet (s) and his mother said, “I am sick, don't leave me,” so he stayed and Allah opened for him to see the Prophet (s) better than anyone else from his place! Prophet (s) said, “Give that cloak to `Uways al-Qarani,” so they took the cloak and went to the village on the way to Yemen as mentioned by the Prophet (s). There they did not find `Uways and no one knew him by that name, in the village he was known by another name. They asked and asked, but no one knew ‘Uways.’ Sayyidina `Umar (r) became agitated, saying, “Prophet (s) told us to go find him and we can’t! What are we doing wrong? We are asking and asking and no one knows him.” He became afraid. They approached him from behind as was looking at his sheep, but in Reality where he was looking no one knows. As the Prophet (s) said, “Paradise is beneath the feet of mothers,” Awliyullah say out of his love to his mother, Sayyidina `Uways was already in Paradise in this life, and in Paradise everyone can see the Prophet (s), so he was able to see. Sayyidina `Umar (r) said, “What are you asking? Always I was with the Prophet (s) and he looks like this,” describing shamaa'il an-Nabi (s), his characteristics.  Sayyidina `Ali (r) said, “One day the Prophet (s) called me and said to me, ‘Yaa `Ali.’” He said this happened in the battle where he had a problem with his eyes and the enemy challenged him to a duel and the wrestler called him bad names. That is why Awliyaullah respect to Sayyidina `Uways al-Qarani (r) so highly, because of one hasanah for his mother, Allah granted him to see the Prophet (s) from far away. So what is in that robe? In each drop of the Prophet’s sweat was the secret of his asking forgiveness for each person in Ummat an-Nabi (s) up to the Day of Judgement! Every drop represents one of his Ummah and Sayyidina `Uways al-Qarani (r) is responsible to present that to the Prophet (s) with all of them clean, ready for his Shafa`ah on the Day of Judgement! Rahmatullah cannot be counted or evaluated; only Allah knows His rahmah; and what He dressed His Prophet (s) with only the Prophet (s) knows; and what He dressed his Awliya with Awliya know; what He dressed the Sahaabah (r) with only Allah knows and each of them is a Wali, they are stars in dark nights and you can be guided through them. My Companions are like stars (on a dark night); whichever of them you follow, you will be guided. May Allah grant us from that Tajalli! These visions come to Awliyaullah to tell their students, to show the greatness of salawaat in their lives. Excessive salawaat is not shirk. You can do as much as you like, Allah likes that and there is from ten to seven-hundred rewards, up to infinite rewards for each salawaat, no one knows. When inaayatullah, Allah’s care comes, no one can take it away, so we hope that we are always supported under inaayatullah and that it solves all our problems and cures everyone as we are weak servants! May it solve all our problems in dunya and stop all this bloodshed. Wa min Allahi ‘t-tawfeeq bi hurmati 'l-Fatihah.